Overclockers, watch out! Recently we have shown on OCinside.de how to tweak with liquid metal PC and notebook, but today we show an even simpler method. 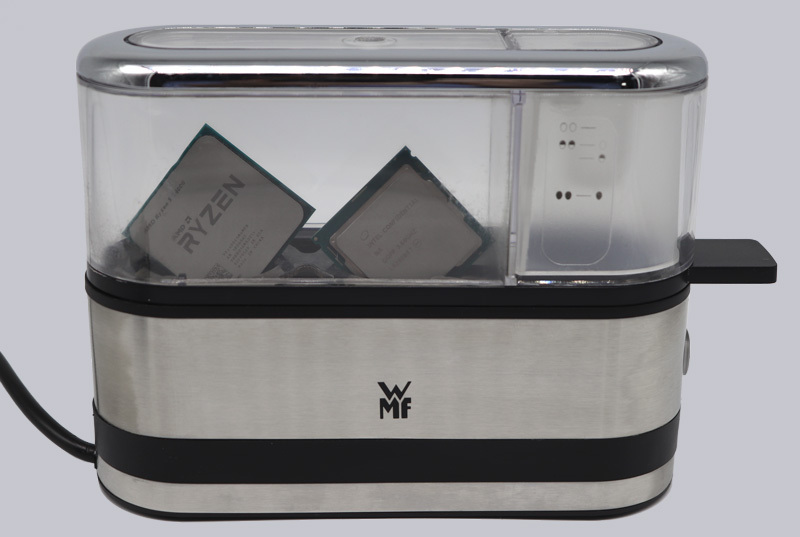 We explain in the following tutorial how you can overclock your CPU in the egg boiler and even repair a defective CPU! There is only one catch, because the already very high demand for egg cookers at Easter could drive up the prices for the magic devices even higher. Edit 2nd April 2019 – Yes, it was just an April fool, of course. 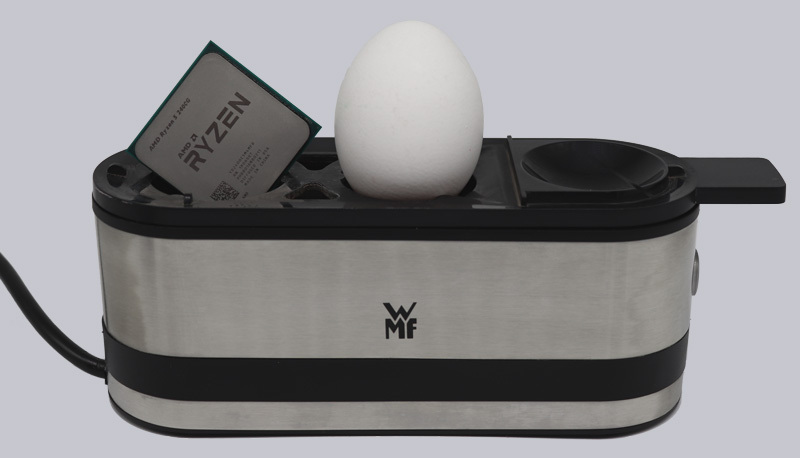 Many thanks for the support to WMF, without whose egg boiler we would certainly never have discovered this phenomenon. 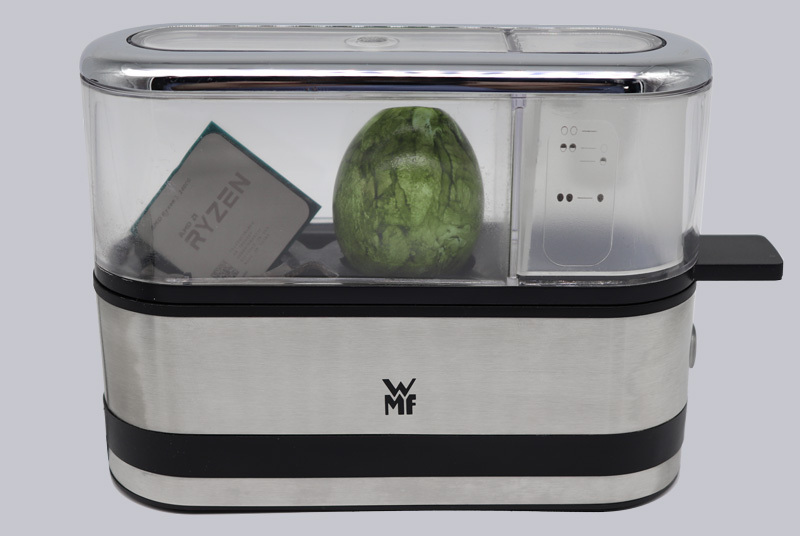 The WMF Kitchen Mini 2-Egg Cooker currently has a price of approx. 35 Euro (01.04.2019). Here you can order the matching egg cooker. Best of all, almost all processors are supported, from AMD Ryzen, AMD Ryzen Threadripper and Intel Core i9-9900K Coffee Lake-R to the upcoming Intel Tea Cake-K Core iX-10000K processor. The handling is very simple. You remove your CPU from the PC, wipe off the old thermal compound, put the CPU into the egg boiler for 6 minutes and it’s faster than ever! But don’t just throw the processor into the boiling water, it should be steamed gently. With this trick there are several factors which have a positive effect on the CPU. 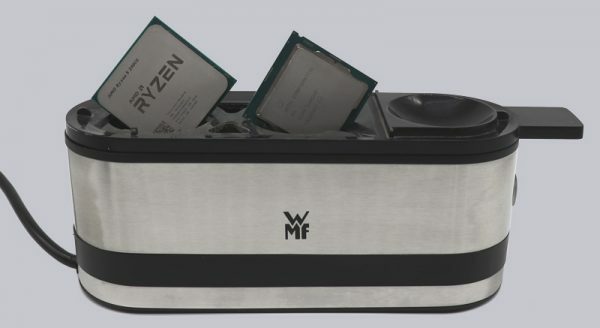 On the one hand the bonding within the CPU is soldered again (wire bonding is called the connection of the semiconductors with the pins), but also the heat conduction paste or the liquid metal between the CPU DIE and the HS (heatspreder on the CPU) is connected again. Hard to believe, but it can do more than that. Because defective processors can be repaired in the egg boiler! Also here, due to the pleasant temperature in the egg cooker in combination with the old egg shells remains in the humidity of the egg cooker, defective areas in the silicon substrate are reconnected and can function again permanently! Here you can order the matching egg boiler.